Hiring Millennials is not like hiring employees from other generations. All too often companies wait until they are desperate to fill a position before they begin to seriously recruit for it. By then, they are willing to accept the first person whose resume says they fulfill that need. But if you are hiring millennials, they want and expect more than just a job. They want career with a company that is a cultural fit. 00:01 Amanda Hammett: Hey, this is Amanda Hammett and this is the Millennial Rockstars podcast. Hey and welcome to this episode of the Millennial Rockstars podcast. 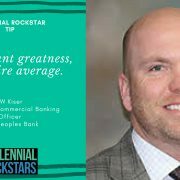 Today's Rockstar is JW Kiser, who happens to be the chief loan officer for New Peoples Bank. And one of the things that I took away from the conversation with JW was the importance of hiring right the first time. And JW actually gets into some really interesting things where he talks about how it may cost you a little bit more upfront but it's so worth it in end, so check out what JW has to say. 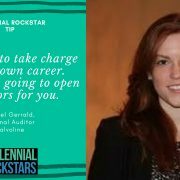 00:37 Amanda Hammett: Hey there, this is Amanda Hammett, I'm known as The Millennial Translator® because I help companies attract, retain, and engage top millennial talent and today on the Millennial Rockstars podcast we have JW. JW, welcome to the show. 00:51 JW Kiser: Hey, thanks for having me. 01:14 Amanda Hammett: This is who it is. I was like, "Alright, I've got to have him on the show." So tell us a little bit about you JW? 01:20 JW Kiser: A little bit about me. Well, first I may question that person that nominated me but it's very flattering and I greatly appreciate that. Now, and so a little bit about me, I live in Abingdon, Virginia, and I've got a beautiful wife and our 10-year-old daughter and I work for a great company called New Peoples Bank and and I'm a Senior Commercial Loan Officer so I think my exact title is Chief Commercial Banking Officer. But I think in banking, they give you these really long titles so they can pay you less, but, you know, that's what it's about. 01:52 Amanda Hammett: Fantastic, fantastic. Alright, so you and I discussed this a little bit before we turned on the recording but you are an older millennial, correct? 02:04 JW Kiser: Thank you for reminding me, but yes. I'm in the '80 birth date I think. 02:09 Amanda Hammett: Yes, yes, yes, yes, so you're right at the top end of the age range, which has given you a good bit of work experience correct? 02:18 JW Kiser: That's right. 02:18 Amanda Hammett: Okay, fantastic. So tell us a little bit about your career path. How did you get to being that Commercial Bank Officer? 02:27 JW Kiser: Let's see. Like a lot of kids I went to college and as I was getting ready to leave I wasn't a 100% sure what I wanted to be and I think I wanted to be a pharmaceutical guy at one time and I saw my buddy and I had a few friends that did that and there was nothing like running around in the car and playing golf all day and selling drugs and making lots of money but at the end those jobs were pretty hard to get then and so then I thought of being a stock broker and I realized I didn't wanna do that. But kind of how I ended up in banking, a gentleman that I really looked up to that was one of my instructors, a guy by the name of Dr. Steve Bourne, he was an advisor for a local bank and he asked me if I would have some interest and go on and talk to those guys and they were trying to hire somebody that was fresh, that didn't have any preconceived notions on banking or any good habits or bad habits 'cause I didn't have any good habits either since I wasn't a banker but they wanted somebody they could train and kinda run around the bank and bring it up the way that they wanted to. 03:30 JW Kiser: And so I started there, and from there, I worked in Princeton, West Virginia, for a little bit and moved to Wytheville. We had a bank in Wytheville that was struggling and I was just a young kid at the time but they kinda gave me a chance. And so I went to Wytheville and had a really good run working at that bank and although I had some success at that location, and then there was another guy in town who would later become my future boss, a guy by the name of Jim Grubbs. At that time, it was just me and Jim that really loaned money in Wytheville and he said, "Hey, you know, rather than us beat each other up all the time, why don't we just work it out." So again, I kinda ended up in another bank and from there I moved to Abingdon to fix another bank and when I left there I moved to another bank to fix it and ended up here in New Peoples. 04:20 Amanda Hammett: So really what I just heard is that your title should be bank fixer. 04:24 JW Kiser: It actually should be bank janitor, but yeah. 04:27 Amanda Hammett: Fantastic, fantastic. So in all of that time, I would assume that you have learned some lessons about yourself, about how you work best and just things that you figured out over the years. So tell us a little bit about what you have figured out for yourself that works really well for your work style or your work environment, things like that? 04:52 JW Kiser: Probably the thing that works best for me is to really be open and honest with everybody you do business with and that's very generic but it's very sincere. I heard a phrase one time that was called under-promise and over-achieve. It's always important to be... Whether you're trying to deliver to a new client or get a new relationship to say what you're gonna do and do what you say. So for me that's probably the biggest lesson that I've learned and the one trait that I still hold close to my heart. And just good communication and being able to deliver. 05:34 Amanda Hammett: That's awesome. So does that translate not just to the client world but also internally to fellow bank employees? 05:43 JW Kiser: Sure, yeah. I think my employees have heard me say, you know, I kinda wear everything on my sleeve and what you see is what you get. I'm very truthful and very honest. 05:55 Amanda Hammett: That's awesome. 05:56 JW Kiser: And to the point, I'll be the first one to pat you on the back and tell you go have dinner on the company and I'll be the first one to kick you in the rear and give you a coaching lesson. So, but I think that's what people want. I know that that's what I want as an employee, and the millennial employee. And I just want good clear direction and great goals, and to be held accountable to those goals and have great things said about me, when I deliver and coaching when I don't. 06:26 Amanda Hammett: Absolutely, well, I think that that last phrase, the coaching when you don't, I mean that's one of the things that I work with a lot of companies on is this idea of radical transparency and you actually exhibit that. You may not exactly call it that, but you're the first person to admit to, "Oh, I messed up." 06:43 Amanda Hammett: And I think that's important for a boss, for an employee, but also for a boss just show their employees, "Hey, I mess up, too." So it makes them more comfortable that like when they mess up, that they can come to you and say, "Hey, help me fix this." 07:01 JW Kiser: You don't wanna go that route. 07:01 Amanda Hammett: And it's a lot easier. 07:02 JW Kiser: Not in what we do especially so. 07:04 Amanda Hammett: Yes. It's a lot easier to fix when you goof up before you start messing it up worse. 07:09 JW Kiser: That's exactly right. 07:11 Amanda Hammett: Alright, well, so with all of those wonderful things that you've learned about yourself, I would assume that there's also some things that you've learned that haven't worked so well for you. So any kind of stumbling blocks that you've seen throughout your career, any life lessons, we'll call them that you've learned over the years. 08:10 JW Kiser: So that was probably my stumbling block one and it's from a life lesson standpoint the thing that I've learned that's been most true and held true to this day is, surround yourself with great people. Take the time to hire the right person. And pay that person what they're worth. I mean it's, at the end of the day, that investment, I see so many people, and I see it even happen in our organization sometimes. It happens everywhere. We look at that other $10,000 that you're gonna have to pay in salary, and we go just a little bit lower and your return is so much better hiring the right person the first time and hiring a person that has the experience and the qualifications that you wanna see in an employee, even if it costs a little more upfront. 09:05 Amanda Hammett: I know you are preaching to the choir here, I get it. I think that that's so important is to slow down in that process and actually pay people what they're worth, not just browbeat them on dollars. 10:07 JW Kiser: If you want greatness, don't hire average. 10:10 Amanda Hammett: Yes, yes, yes, that is fantastic. Yes, that is perfect. So let me ask you... Let's go back to college JW for just a second, so let's think about you getting ready to graduate, and you said that when you were leaving college, you weren't exactly sure what you wanted to do, you had a few things that you were interested in. When you were thinking about you, back in the day, and the way that you saw corporate America before you experienced it or the working world or the real world before you actually experienced it, did you... Do you remember hitting any major stumbling blocks or reality checks as you moved and transitioned into the real world? 10:53 JW Kiser: Yeah, yeah, you know. When you say that, I'm smiling, you know. When I went to college, I mean I did pretty well in college. Made mostly A's, made a B or two here and there, and when I thought that I graduated, I thought people would just be dying to hire me. I thought that, here's a guy that did great in college and... At least I think I can talk to anybody. And I thought I would just roll out and people would have their checkbook and just be dying to drag me over. I'm being a little sarcastic, but that's not really the way it worked. And you kinda gotta earn your way regardless of what it is. It doesn't matter if you're laying bricks for a living or you're in the business world, you gotta earn your way. And so, I can remember my first salary, starting out, I wanna... I was like, "Man... " I just thought it'd be different. So yeah, that was probably my first stumbling block was trying to find my way into the real world and what it meant to have a W2 versus what you thought your W2 would say. 12:05 JW Kiser: Where's the other half at? They took half. They took half of virtually nothing but... Yeah, so that was probably my big stumbling block. I thought that they just be lined up out the door and I'd have no problem getting a job and paying out the wazoo. But you gotta earn it, you gotta earn it. 12:22 Amanda Hammett: Well, yeah. That's the tough reality a lot of us face, leaving college, for sure. So, let's talk about you throughout your entire career because you have mentioned one or two people thus far that have kind of given you an edge throughout the years. But when you're looking back, were there any bosses, current or former, or mentors, or anyone like that that really helped you stay engaged, stay productive, even on those days where you're just like, "Man, I cannot go back in and face this today." 13:00 JW Kiser: Sure. I've had so many wonderful mentors, just kind of starting there. Even I can remember when I grew up. I was just a kid and I played golf every day. That's what I did, and lived in this little small town and my dad would drop me off at the crack of daylight and then he'd pick me up at dark. But there was so many people there that I looked up to, and I played golf with a lot of grown men that kinda took me under their wing and kinda taught me how to be a man, and be responsible and be polite. And so, it even goes back that far. And my dad was a phenomenal father. He was very demanding and wanted me to do great and be successful in life, and be respectful. So even back to the early days, yeah, I have a ton of mentors and I literally couldn't name them all. Probably my first and best mentor was a guy by the name of Mori Williams. Now, Mori actually works at our bank. When I got out of college, Mori was my first boss. 14:00 JW Kiser: And in banking you have, usually before you go start a new branch like you see these big nice million dollar branches were, usually before that you go in and you do what they call loan production office, which is basically, you send a lender over there and he tries to beat up some loans before you open your branch because the branch is so expensive you want some loans to help offset some of those bills. So we were getting ready to build a new branch, and they put Mori and myself and his assistant in this little tiny house over in Princeton, West Virginia. It was this little house office. And our offices were so close that, me just being a young guy straight out of college, I could listen to Mori's conversations, as bad as that was. But by listening to how Mori talked and interacted with people, I really learned how to talk to people. Even when he was in a bad mood that morning, when he picked up that phone, he was smiling. And it was all about them. 14:54 JW Kiser: So even though we were in a super tiny office and bathroom was beside everybody's offices, which is a different story, but it was great to be able to hear those conversations that he had. And he would take me on a lot of joint calls, and so he was my first mentor that really taught me how to interact in business. I knew how to interact with people, 'cause I'd had mentors my whole life, growing up with people that demanded respect, but he was the first one to be able to convey that to a business, for certain. 15:27 Amanda Hammett: That's awesome. I wouldn't think of it as like eavesdropping, but really, that was a wonderful growing and learning experience for you to have, especially at that critical juncture of your career. 15:38 JW Kiser: It was. Yeah, and now Mori works with us. We parted ways years ago, and he went to a different bank, and I went to a different bank, and he joined our team, our commercial team, about three or four months ago. 15:51 Amanda Hammett: Really? Oh that's just a wonderful circle. 15:54 JW Kiser: It's amazing how people come back. Yeah. 15:55 Amanda Hammett: That is fantastic. Have you ever shared with them about kind of the impact that the listening in on those conversations has had on you in your career? 16:04 JW Kiser: Probably some. I probably never divulged that I was eavesdropping on every conversation he ever had. But I assume if he was gonna talk to his wife, he'd shut the door, but just a small office. 16:15 Amanda Hammett: Well, you'll have to forward him a copy of this, this podcast. 16:18 JW Kiser: There we go. 16:19 Amanda Hammett: So is there anything at any of the banks or any of the organizations you've worked with or been a part of that they gave as far as perks or benefits, or even just the culture within those organizations that has really made you say, "Man, these are my people. This is where I wanna be. This is where I need to be." 16:43 JW Kiser: Yeah. I've been very, very fortunate. I worked at two or three organizations, I guess about three organizations and they've all really believed in education. And they believed in investing in people. And for me, I've always wanted to continue to grow, and I read a lot. And I went back to school and got my MBA and all that stuff. And in banking, there's so much to learn, and you learn every day, and I'm sure it's like that in every field, it's just this is the one that I know. So I've always had great employers that were willing to invest in me. 17:19 Amanda Hammett: That's awesome. 17:19 JW Kiser: And I wouldn't work somewhere that wasn't willing to invest in me. I saw a post on Facebook one time, that said, "What happens if we invest in this employee and they leave?" 17:36 JW Kiser: Well, what happens if you don't invest in them and they stay? You know, it's worse. So I've always had great employers that believed in education and training people right, and doing things the right way, and I've been very fortunate there. Perks, I've never had a boss that micromanaged me. And, yeah, I know, it's hard to believe. It is hard to believe. 18:03 JW Kiser: Back to probably my first real... I mean, not my real job, but my first real challenge was when I was at First Bank, and I went to run an organ... A new branch... Or an old branch that was losing a bunch of money. I had a boss by the name of Jim Grubbs, and Jim kinda sent me down there, and he said, "Hey, I don't care how you do it, I just want you to make money." And it was losing a bunch of money, and he didn't call me every week, wanting to know what my seven-step plan was, and he wanted to look at the numbers. 18:35 Amanda Hammett: That's awesome. 18:39 JW Kiser: That's very important. And even my current bank president, he's the same way. He don't care if I work 60 hours or 40 hours, or if I leave here at three o'clock and go play golf. It's... Did you do your job? Did you deliver on the results that we agreed that you'd deliver on? And I think that's what millennials want. I know that's what I want. I don't wanna be micromanaged. I've had times in my career where I've worked 80 hours a week, and I don't wanna do it. I wanna have a healthy work-life balance, and at the end of the day, I'll do what it takes to deliver. Sometimes that is 80 hours, but sometimes it's 30. 19:17 Amanda Hammett: Yeah. JW, that was very millennial of you to say that. 19:21 JW Kiser: Oh, thank you. Thank you. 19:23 Amanda Hammett: That work-life balance idea, that's something that I hear a lot of complaining about is like older generations sometimes just don't get that. But of course, we were the ones that introduced the concept of being a workaholic. 19:38 Amanda Hammett: So I guess that's probably why. So when you're looking at hiring a young employee, is there anything in your mind that will stand out, whether it's in a resume, whether it's in the interview process, is there anything that really stands out in your mind that says, "This person is going to be a rockstar. This person, like I gotta have this person." 20:03 JW Kiser: I want somebody that's confident. First and foremost, I tell everyone the same thing that, I hire you for this, what we're doing right here. I hire you... If you can communicate, that's kind of the part one of what we do. If you have great conversation with great people and ask for business, you'll be very successful. But the second part of that is, I want somebody that's driven and I want somebody that's not driven by dollars. Dollars are the worst motivator ever. If you give somebody some dollars, it's very short-term performance driven. It's not what people think it is. So I want someone that, first and foremost, can communicate. And then second, the success that they wanna have comes from within, not an external reward. 20:51 Amanda Hammett: That's awesome, but I love that. I love that a lot. So is there anything... Is there anything else that you think that organizations need to know about hiring millennials, whether they're the younger millennials or the older millennials like yourself. 21:06 JW Kiser: Yeah, thanks for reminding me again. 21:08 Amanda Hammett: You're so welcome. 21:10 JW Kiser: You know, I do think millennials are a little different generation, and it's no different than what I do or what you do. If you go to one organization or another one, you've gotta kinda tailor your pitch a little. It's the same if I'm going to see a farmer, or if I'm gonna see a 30-million-dollar customer, you gotta change a little bit, and you gotta have some flexibility. And I think millennials probably demand that more than ever. I mean, I don't think that they're... I'm not saying previous generations are just cookie cutter. I'm not saying that, but I think they want some flexibility. I think the perks that they want are a little different. So to me, when I try to hire someone that's younger, I wanna figure out what their hot button is. 21:56 JW Kiser: What do they want the most out of this? Is it... Do they value the vacation, do they value the dollars, do they value a Country Club membership? What is it? 22:07 Amanda Hammett: And how do you find that out JW? 22:08 JW Kiser: You gotta ask great questions. It's no different than... If you'll talk to someone, and you get somebody talking about themselves, they'll love to keep going. So you ask great questions, and don't be afraid to ask those questions. So, I think you figure out what the hot button is and you play that card. Because ultimately, that's what's gonna drive their decision, and make them happy and content with where they're gonna work. 22:34 Amanda Hammett: That's awesome. That is fantastic advice. And I think that that's something every leader needs to hear. At the end of the day, we're all hiring, we're all looking for that next person that's gonna help us push to the next level. But you gotta hire right to do that. 22:50 JW Kiser: That's right. 22:51 Amanda Hammett: Well, fantastic. Well, thank you so much, JW, for being on the Millennial Rockstar podcast. Is it okay if our audience wants to reach out to you on LinkedIn? 23:01 JW Kiser: Sure, that'd be great. 23:02 Amanda Hammett: Fantastic. Well, I will share a link to JW's LinkedIn profile in the show notes. But thank you guys for joining us today on the Millennial Rockstar podcast, and we will see you next time. Bye. 23:14 JW Kiser: Thank you. Bye. 23:16 Amanda Hammett: Thanks so much for joining us for this episode of the Millennial Rockstar podcast. If you are looking for even more information on millennials and some free resources, visit my website at amandahammett.com. The link is below, it's amandahammett.com. There you can download a free Millennial Employee Engagement Guide that will give you all kinds of tips and tricks on how to keep those millennials engaged on a day-to-day basis, because we all know that millennials who are happy at work are more productive at work. Millennials as a generation of kids grew up hearing they could do anything they set their minds to. Now they are questioning that ability. Now millennials are facing the Impostor Syndrome especially at work and it is affecting their career growth and trajectory. Meet a millennial rockstar who has successfully used mentors and colleagues to help her battle the Impostor Syndrome. 00:01 Amanda Hammett: Hey, this is Amanda Hammett, and this is the Millennial Rockstars Podcast. 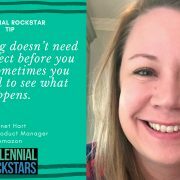 00:05 Amanda Hammett: All right, so in this episode of the Millennial Rockstars Podcast, we are going to meet a rockstar, Janet Hart, who's coming to us from Amazon. And so Janet actually shares with us a story about one of her early, early mentors and how he actually helped her to learn to tie her outcomes to financial results for the company and how that has made all the difference in her career. And then she also gets pretty vulnerable, and shares with us the story about how despite all the successes she has seen throughout her career, how she still, to this day, sometimes struggles with the impostor syndrome. So tune in and listen to what Janet Hart has to share. 00:43 Amanda Hammett: Hey there, this is Amanda Hammett.  I am known as the millennial translator® because I help companies attract, retain, and engage top millennial talent. And speaking of top millennial talent, today, we have Janet Hart, who comes to us from Amazon. Janet, thanks for coming on the show. 01:00 Janet Hart: Hi, it's nice to be talking with you today. 01:04 Amanda Hammett: Well, great, great. So here's the thing, this show is all about you have to be nominated to be on the show and you have to be nominated by a former boss or a former co-worker, or a current boss or co-worker, and you were nominated by somebody that I actually respect and admire tremendously. She could not say enough good things about you. Let's just put it that way. 01:30 Amanda Hammett: Now, tell us a little bit, Janet, about your career. 01:33 Janet Hart: Well, so I started my career in 2001, at a company called Blackbaud, in Charleston, South Carolina, and I was there until about 2014. In my 13 years there, I had seven different positions and so I moved every two to three years roughly to a different part of the company. So I started working with third-party resellers and then I moved into a year where all I did was data analysis on sales performance metrics, diving deep into really interesting things. And then that prepared me to lead the global operating plan development and the regular operations of the sales work, did that for a few years, and moved into marketing. Learned a lot there, really focused on marketing automation, which was emerging at the time. 02:30 Janet Hart: Yeah, actually I really had a good time in that position, because we had put out some very large, and this was roughly like 2011-12. So we were looking towards 2020 as like, "What is our big goal for 2020 and how are we gonna get there?" And I thought we're not gonna get to this goal of acquiring customers if we're gonna call every single person individually, we need a better way to reach our market and a better way to talk to them with personalized messages. And so we... I led my team and we brought in marketing automation to Blackbaud for the first time and it has become an engine for them, which is super exciting. For me, even though I'm not doing that anymore, it's had a lasting impact. So I did that for a few years. And then, I moved on to a role where I was the director of operational excellence and led a major project for back office transformation. 03:38 Janet Hart: Yeah, the last thing that I did there. And then I was at a point where I was ready to do something new, take on a new challenge and I had to ask myself some tough questions: Do I wanna take on a new position here? 'Cause there was still more for me to learn. Or, do I wanna go and try to tackle a challenge at a different company and get a different perspective and way of thinking of things? And that's what I did. And so I ended up joining Amazon in the create space division here in Charleston and I'm a senior product manager and I have a team of product managers and I find it really fun work, very customer-focused like working backwards from opportunities to develop solutions and the work is very different than what I was used to before. The mental model is different in that you know... I just, I think it's been fun, so like that's the nutshell. 04:39 Amanda Hammett: That's awesome. I mean you've had a really fascinating career. And one thing that I really wanna point out to our listeners who are leaders of millennials is that you mentioned, and this is something I've seen consistently. You mentioned that every two to three years, you were ready for a new challenge. But the fact of the matter is, is you stayed put at one company for 13 years, and millennials do not have a reputation for being long-term employees, when actually that is, that's false. 05:15 Janet Hart: Yeah, I think I was lucky at Blackbaud to have good leaders that I worked with, who recognized that I needed that change, and that I was flexible enough to be able to move to different competencies or functions in the company, learn about them, figure out what could be improved, or what needed to be started and didn't exist, like tackle something. So I think that that is one of my sort of super powers is being flexible, because I bend, I can bend in a lot of different directions, but I don't break easily, so I'm really up to kind of a variety of challenges. And I had one mentor there who I was lucky to work for twice. He helped me think about my career differently. I think in a way, we were of different generations, and so a little bit of friction and frustration that we had when we had career development conversations, is he was like, "Well, what do you wanna do long term? What do you wanna do in 10 years?" I was like, "I don't know." I really can't think that far in advance. I'm much better at saying this is what I don't wanna do or this challenge seems interesting, and maybe only thinking three years in advance. And so he's like, "Alright, well, then, we're just gonna put you on this tour of different parts of the company." 07:17 Amanda Hammett: I love that. 07:21 Janet Hart: Yeah, think about the breadth of what you wanna learn and survey opportunities from that lens. 07:27 Amanda Hammett: I love that he was very aware of that. And do you mind me asking what generation he was from? 07:33 Janet Hart: I think he is in his mid-50s now. 07:38 Amanda Hammett: Okay, alright. 07:39 Janet Hart: Probably a baby boomer, I think. 08:13 Amanda Hammett: That's awesome. 08:14 Janet Hart: He has really stuck with me, and I have said it to more than one person on my team, and it helped me provide coaching guidance to other people like, "Well, what do you really wanna get out of it? Let's think about the components of the job, and not just could you do it every day, but what is gonna be the outcome and benefit to you." So yeah. 08:32 Amanda Hammett: That's so fascinating. So let me ask you this. You mentioned a little bit about your mentor, and I would like to circle back to him or maybe another one a little bit later, but let's talk a little bit about your career and what kind of stumbling blocks have you seen and what... How did you get through them? 08:55 Janet Hart: Yeah. I would say learning, there's always... When you take on something new, there's always a learning dip, and so it's like you go down a little bit and you have to climb back out of that dip. I think that one of the things that I've learned is the importance of perseverance and tenacity and continuing to push through some of those things. Where you have road blocks it's in many of my jobs, it's been about solving something or building something, and so every setback is I have taken the approach of, "Alright, well what are the new conditions? How does that change my thought process, and how can I adapt to that?" And that's something that has really served me well, especially as I've grown in my career, because it's never a hard no, or a total dead end. There's usually a way out or around something. You just gotta be persistent. So that's been a good thing for me. I would say a personal stumbling block, probably has to do with self-confidence, and I have seen other people who have been a little bit more aggressive in pursuing their next career step, going maybe bigger and higher instead of my of zig-zag approach. And I think we talked about this with some of my co-workers on my current team, is that I think it's called the impostor syndrome. 10:30 Amanda Hammett: Oh yeah. 10:32 Janet Hart: Yeah, and so one of the women in our office went to the Grace Hopper Celebration of Women in Technology, so Grace Hopper was a pioneer of tech. They have this conference annually, and she attended a session about the impostor syndrome. And she came back to our office, and she's like, "It has a name." She's like, "Everyone, it has a name." And so you could see collective sighs around the room. We're all like, "Yes, okay. We all suffer from this," and it was a great moment for everyone to say, "What do you mean? You do? I never would have thought that you would have self-doubt, or be super hyper-critical of your own work in that way, because it's amazing." So we unofficially formed this network just to be able to talk about it and it was really nice. But I'm still working through that stumbling block. 11:25 Amanda Hammett: Well, honestly, it is something that I have struggled with, and I'm sure that men face this as well, and I know that they do. But I feel like women face it at much higher rates and are a lot more self-critical of themselves. That was... Sorry. But what have you guys since within your team, you have noticed this and you've discussed it, or do you find yourself calling each other out saying, "Hey that was awesome. Don't worry about that," or what are you guys doing about it? 11:57 Janet Hart: We do. So we haven't developed a really formal mechanism to address it yet, but... You know, little things, like in written and email communication when people say, "For what it's worth, this is my opinion," just being able to recognize that even that is a confession to someone else that your opinion's not valid. So it's small stuff like that, that maybe you don't realize is in there. And so, I will say, the woman to the conference, she's like, "You guys should all just read your communications, write them, read them and look for these trigger words, and try to remove them." And it's interesting. 12:37 Amanda Hammett: It is. 12:40 Amanda Hammett: Actually, on this same very topic, I interviewed someone earlier this week and she is a sales leader and she's managing a team and one of the things that she had to learn early in her career is to stop apologizing. And she's like, "I teach that and I coach that to new sales reps all the time." She's like, "There's obviously a time and a place where you do need to apologize," but she's like, "You're walking down the hall and somebody's looking on their phone and not paying attention, they bump into you, you don't need to apologize for that." She gave three or four other examples and I was like, "I do that, I do that." [chuckle] So, yeah, I love it. That's fantastic, that is really fantastic. So you mentioned earlier and I'd like to revisit your mentor or another mentor or boss. So is there anything that your boss, current boss, old boss, mentor, co-workers have done that have really kept you engaged and productive and wanting to just keep driving forward? 13:42 Janet Hart: Yeah, so I will say the mentor that I mentioned previously, he was very good about helping me understand the connection of my work to the long-term impact on the business. So not only was I able to learn and add skills but also demonstrated proof and evidence of additional incremental revenue I was able to drive or cost savings and efficiency, and really being able to quantify things. 14:11 Amanda Hammett: That is fantastic. 14:12 Janet Hart: Yeah, and so everything I am doing, it does matter and here's how. Here's how we can show that. So that's what has been really important to me, I really love to see that my work at the end impacts the customer or the company ideally both to the mutual benefit. And I'll say something else that I think is important in my current team is really flexibility. Understanding that life is more integrated with work. And so, sometimes you have appointments with children, and you're taking care of that, but then you're getting online whenever you can. You're getting the work done, and that is what matters more than clocking in at particular times. That's one thing, and then I'll also say, more importantly than that is really safety, to be able to experiment and fail at things and really try and grow. Everything doesn't need to be studied until you know it's going to be perfect before you do it. Some things we should probably just go ahead and do it and see what happens. And so I think that that's a great culture where you can learn, and you might have some positive surprises that you if you had studied further wouldn't get. I'd say just to recap, like tying my work to impact, flexibility of schedule, and safety to experiment and fail, or really succeed. 15:43 Amanda Hammett: That's awesome, I love companies that really encourage that failure piece because, honestly, that is something that millennials did not grow up with in their educational experience, and our culture just didn't support that, that thought process. But now, in order to be successful, in order to innovate, we've got to do that and you guys are the kings and queens of innovation over there. So [chuckle] you gotta expect this is... You're gonna have some great successes and you're gonna have some failures, and that's okay. 16:18 Amanda Hammett: I love it. 16:19 Janet Hart: Yeah, failure's scary, it's not fun, but you don't learn, really, if you don't try. 16:26 Amanda Hammett: No, yeah, you're absolutely correct. Alright, I gotta ask. You've worked for some really fantastic companies and you've had multiple jobs, especially at Blackbaud. When you were going through that interview process for any of those positions, do you feel like there was anything in particular about you or a way that you talked about yourself or anything, your resume, whatever, is there anything that really made you stand out to a hiring manager? 17:00 Janet Hart: Oh, that's interesting. I'll say at one point now, because I've had so many different positions. On the plus side, I think people look at me and they're like, "Wow she could do a lot of different things." Someone on my team last year said, called me a Swiss Army knife. Like, "I can ask Janet just about anything and if she doesn't have that deep experience, she knows someone who does." So in a way, I think that that helps me stand out, but on the other hand, I think it can also make it difficult for hiring managers to know exactly how they should use me. It's not as clear that I've had a 15-year career in marketing, therefore I'm gonna go run a demand generation program. There are pros and cons, I think, of my background, but more pros. 17:50 Amanda Hammett: Yeah, I would think so. I would say so, yes. 17:55 Janet Hart: I think, too, as I mentioned, tying my performance to impacts, those are all on my resume. And I think that that helps. And then I can easily sort of peel the onion back and talk about those, like what was the context of the situation, what did I do, how did it work out, you sort of present the full picture of the accomplishment. 18:16 Amanda Hammett: Absolutely, I think that there's... Especially in those of us that have careers that are more squishy like mine where there's no hard and fast numbers, I think being able to tie numbers and events to what you have brought to the table is phenomenal, and that is something... I've noticed when I sit down with CEOs and I say I bring out dollars and cents, their eyes and their brains start thinking in a completely different direction. They might have seen me in one way but now they're like, "Oh, okay, this is what we need." So, I love that. I love that your mentor really taught you to do that, that is something I feel that's gonna serve you well. 19:00 Janet Hart: Yeah, I don't think it was his quote originally, but he said it often, what gets measured is what gets managed. 19:06 Janet Hart: And so that was drilled in. 19:11 Janet Hart: Never forget that. 19:14 Amanda Hammett: Were you repeating it in your sleep, was it like that? 19:17 Janet Hart: Yeah, I say these things to my daughter. 19:22 Amanda Hammett: I love it. 19:23 Amanda Hammett: Awesome. Okay, so now, is there anything... You are on the older side of the millennial generation. Is there anything that you're seeing now that you're bringing in new younger employees, is there anything that you wish that they knew as they're starting out their careers? 19:47 Janet Hart: Now that's an interesting question. I think it almost depends on where they are starting their careers, like if they're starting their careers in a role that allows them to have project work and kind of get to a point where they can demonstrate some of that impact versus someone who's starting more in like a frontline role like in customer service for example. I guess I would say no matter what your job is, there's probably opportunity to improve it. And so, being curious about how things work or how things could work in representing that to your leadership team like, "Hey, I identified something, I think this could be better. Here's how I think it could be better." Those are the kinds of things that I think will get associates noticed. It's like someone with some initiative, drive, curiosity, and who wants to add that value. It's more than just coming in and doing the job. Those are the things that I would recommend. 20:49 Amanda Hammett: That's I think really awesome advice, really, really awesome advice. Actually, I'm getting ready to go talk at a university and they always ask me questions just like that and so I think that that was a perfect answer. 21:05 Amanda Hammett: Perfect, I might borrow from you. 21:08 Amanda Hammett: I'll totally give you credit. 21:09 Janet Hart: Yeah, no worries. 21:11 Amanda Hammett: Well, wonderful, wonderful, Janet. Well, we're gonna wrap up, but if anybody from the audience wanted to reach out to you on LinkedIn, would that be okay with you? 21:19 Janet Hart: Yeah, definitely. 21:21 Amanda Hammett: Perfect, perfect. Well, I will include your LinkedIn profile link into the show notes and otherwise I thank you guys so much for joining us for another episode of Millennial Rockstars, and of course with our lovely rock star today, Janet Hart. Thank you so much. 21:38 Janet Hart: Thank you. 21:39 Amanda Hammett: Thanks so much for joining us for this episode of the Millennial Rockstar Podcast. If you are looking for even more information on millennials and some free resources, visit my website at amandahammett.com. The link is below, it's amandahammett.com. There you can download a free millennial employee engagement guide that will give you all kinds of tips and tricks on how to keep those millennials engaged on a day-to-day basis, because we all know that millennials who are happy at work are more productive at work.